Today's episode is all about understanding the belief systems that we have of ourselves including how they were created in the first place and what we can do to change them. Specifically, we will be looking at the work of the author, Carol S. Dweck, who wrote, Mindset: The New Psychology of Success. In her book, Mindset, she dives deep into the two mindsets we have - fixed and growth. 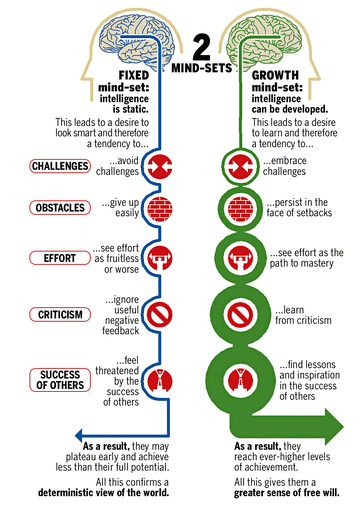 In a nutshell, people who have a fixed mindset believe they can never change and this is how they'll be forever vs. those with a growth mindset that believe intelligence is something that can be learned, cultivated, and developed. However, we don't have just one type of mindset for the rest of our lives either. Depending on where we are in life and what the topic is about, we could either have a fixed or growth mindset. So, you might have a growth mindset about fitness but then have a fixed mindset about money or career. In addition to exploring the differences between fixed and growth mindsets plus why we develop them, Devon and I will teach you how you can shift to a more growth mindset when it comes to your health and wellness. If you have a fixed mindset, you believe you're either born with it or you're not. You might have also developed this mindset because someone such as a parent or teacher taught you to think that way. People with a fixed mindset believe that it's talent and not hard work that gets you ahead in life or your goals. This mindset essentially leads to negative thinking that you are not smart enough and you won't even try because you're afraid to fail. You probably find yourself facing challenges with anxiety because you're afraid of not looking smart. In the end, this mindset discourages you from taking on any new challenges altogether for fear of looking bad if you do not succeed. Don't like obstacles and will just give up before even really trying to put in some effort. Believe the effort isn't worth it to try something because they think they'll fail anyway. Ignore useful negative feedback or criticism that could help them improve. See other people's success as a threat. Are constantly trying to prove themselves to others. Think they can't do any better than where they are at now in life. A fixed mindset could eventually lead them to plateau early on in life and never reach their full potential. If you have a growth mindset, then you believe that talents and abilities are only a starting point. You think that there is potential from the starting point and that potential is limitless. You've come to realize that if you put in the effort, hard work, and persevere, you will grow and can succeed. You eagerly embrace new challenges and see them as a way to learn. Are persistent with new challenges or obstacles and will not give up. Believe that the putting in great effort is the key to mastery. Become curious when someone gives them useful, negative criticism and are eager to use that information to help them improve. Feel inspired by other people's success. Don't need to prove themselves to others and know they have the strength to keep working hard at their goals. Realize that there is no end to what they can do and achieve in life so they live in their potential. How Did We Develop Fixed Mindsets? Fixed mindsets are easily created at a really early age; especially in test-oriented schools. If someone ever told you didn't have the talent for something or if you were praised for your achievements vs. the actual work you put into getting it done, then it's very likely that you developed a fixed mindset. To begin helping others shift their mindset from fixed to growth, you can use different praise methods or share stories of how people with no talented cultivated skills and beliefs. That's a great way for a manager to motivate their employees to think more positively. However, switching from a fixed mindset to a growth mindset is not magic; you have to change a deep belief in yourself. When you think something negative such as "You're stupid; why even bother? All this hard work is stupid," you can begin to shift your mindset by acknowledging that you heard that thought in your mind and understanding that it belongs in that fixed belief mindset. Then, tell yourself that you can do this, and finally apply an action to overcome your challenge. Don't judge yourself in the moment but be persistent in solving the problem. Persistence has a direct effect on growth. Acknowledge the setback, be curious about why it happened, think about a solution for the next time it happens, and be persistent. From there, you need to create a growth mindset thought from your fixed mantra. So, if your mantra is, "I'm too stupid; I'll never be able to do this," think about the reverse of that mantra such as, "I'm smart enough to figure this out; it might take me some time and it might take me some work but I know that I can achieve this." Take this challenge on daily whenever you come across yourself thinking fixed mindset thoughts. This is something you have to work on every single day. 2:20 Join us early for our next official Sky Fit Challenge starting July 16. 5:00 Some of the awesome reviews we've received on iTunes! 7:00 Research done by Carol S. Dweck on the mindset. 7:45 Our two different mindsets - one that holds back (Fixed Mindset) and the other (Growth Mindset) which really helps us. 15:00 How different mindsets react to new challenges in life. 15:50 Anxiety vs. Excitement for both mindsets. 18:00 The different views on effort and whether or not it's worth it. 19:30 Whether or not these mindsets accept or reject criticism and what affect criticism has on them. 20:40 How we see other peoples' success and react to it. 21:50 The effect that jealousy or envy has on our mindset. 26:15 The result of having a fixed mindset. 28:00 The Grow vs. Fixed Mindset when it comes to health. 28:50 How we even developed a fixed mindset to begin with in life. 34:20 The different mindsets we see in the Sky Fit Challenge and our clients. 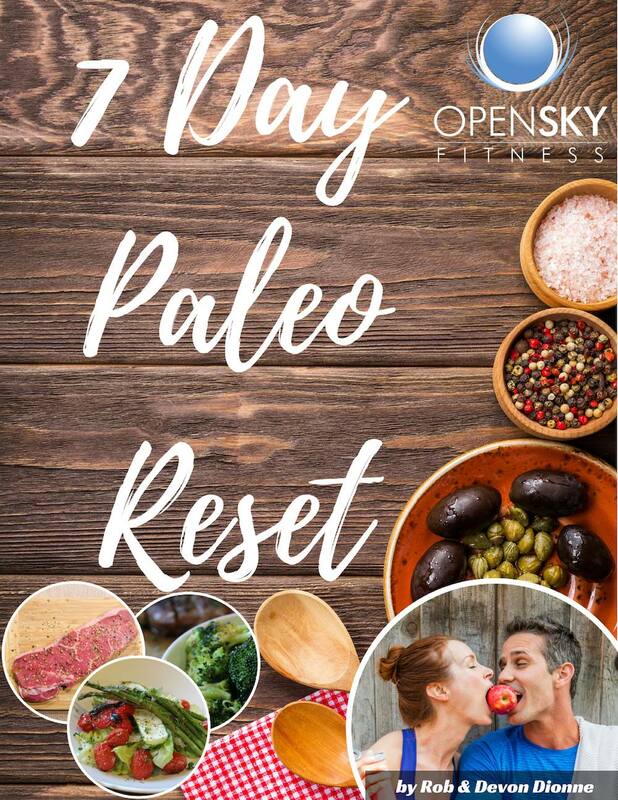 35:00 Why you don't have to be afraid to reach out for help in your wellness journey. 36:50 How to use a Growth Mindset to continue focusing on your fitness and nutrition. 38:00 Studies on children who have been praised in two different ways. 39:45 Actions children with fixed mindsets regularly adapted into their work vs. children with growth mindsets. 44:00 How people with a growth mindset are happier compared to fixed mindsets. 44:45 How you can shift your mindset from fixed to growth. 54:00 The importance of staying curious rather than be stuck in your fixed mindset. 56:00 How to apply a growth mindset to your health. 1:01:00 How to deal with and solve problems that come up in relationships. 1:03:00 What a healthy adult relationship looks like. 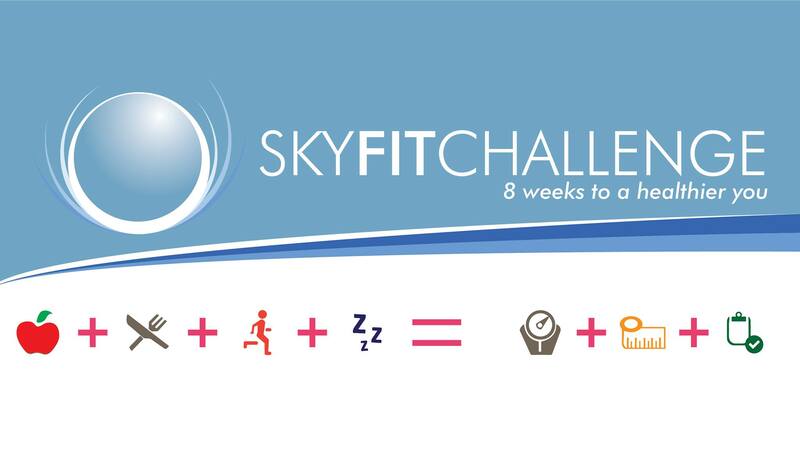 Join us for our next 8 Week Sky Fit Challenge that will start on July 16! Thanks for listening/reading episode 206 - The Power of Mindset: Fixed vs. Growth Mindsets! We hope you have gained more knowledge on how to be a healthier you.